Partnering with award-winning documentary filmmaker Joe Fab, Executive Director Cheryl Rattner Price and The Butterfly Project are calling for all 50 states to mandate Holocaust education in the public schools, to combat a rise in hate crimes nationwide that spiked around the presidential election. In honor of International Holocaust Remembrance Day on Friday, Jan. 27, 2017, we are urging residents in every state to call and write to their governors and demand that the Holocaust is taught in public schools. Currently only eight states require some form of Holocaust education in the public schools. It is vital that U.S. schools teach young people about the Holocaust at a time when there’s a marked increase in reported hate crimes and anti-Semitism nationwide. The call for the public to lobby local government for Holocaust education in public schools is beginning with an initial 100-day phase, in which we are seeking to partner with Holocaust museums across the country and organizations that currently focus on Holocaust education. We will increase our reach with schools and institutions, starting with getting the word our through our network of participants with the new film and school conferences. We originally issued the call on Tuesday, January 24, 2017, during a screening at the JCC Manhattan of our documentary film, NOT The Last Butterfly. The film tells the story of The Butterfly Project and serves as a call-to-action for viewers to join us in our mission. Fab is also the director of the Emmy nominated and award-winning “Paper Clips”, about a Tennessee school project to fill a replica of a Nazi freight train full of millions of paper clips, one for each victim of the Holocaust. The students chose paper clips because Norwegians wore them during the Nazi occupation as a symbol of resistance. We understand the challenges of igniting a public campaign to lobby state leaders to mandate Holocaust education, since the current education system is focused on performance assessments, especially in the core subjects of reading, math and science, so teaching is focused on testing. That leaves little room for other curricula, and there is no standard for education policy across the states. In January 2017 alone, Jewish Community Centers in 18 states received bomb threats, the latest series of anti-Semitic incidents to strike nationwide. The Anti-Defamation League reported 2.6 million anti-Semitism tweets during the 2016 presidential election, with 800 Jewish journalists targeted. In the 10 days after the election of Donald J. Trump as president, 867 hate crimes were reported, 100 of those ant-Semitic in nature, according to the Southern Poverty Law Center. 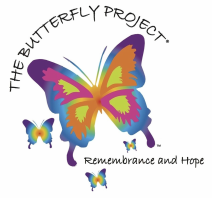 While NOT The Last Butterfly focuses on remembrance and hope, our education initiative will help push a national effort to ensure that student learn the lessons of the Holocaust and the importance of standing up to hatred of all kinds. Lessons of the Holocaust apply not just to anti-Semitism, but to every aspect of our lives – including the dangers we see today to non-Jewish citizens as well as threats to our morals and values — and even to the survival of our democracy. “Holocaust education is a vital tool in the defense of our democracy and critical to helping our young people learn to stand up to demagoguery and evil. Starting in the next 100 days, we should all choose to reach out to our state and local elected officials and advocate for requiring that the Holocaust must be taught in all 50 states. Sign up below to join our initiative!